Patrick has the magic touch that brings this story to life. He says, "I have never been so drawn into an art project. They all seem real to me." Eric, the main character of the story, is named for Patrick's oldest son, who passed away in 1990, just a few days after high school graduation. Sugar was the family dog, some years back, until a scuffle with a fishcamp bear ended his time on earth. Patrick, supported by his wife, Janet, worked tirelessly on this project, beginning in January and wrapping up in October, 2011. About twenty illustrations make up the book. Patrick went to art school in New Mexico, just out of high school. His art can be seen in schools and other public places throughout the Y-K Delta. He lives in Anchorage now but the home that figures in his drawings is Pilot Station, Alaska. 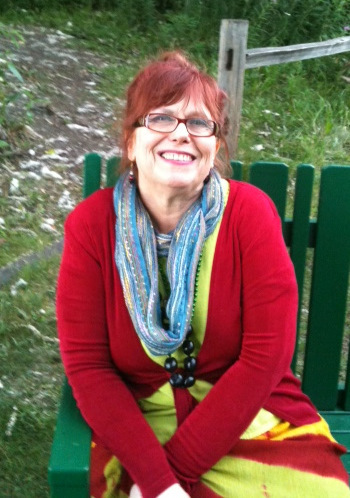 Sandy Kleven is a writer, poet and film maker with a long history in prevention work. Her docudrama "The Touching Problem" won a Seattle-Area Emmy Award, in 1980.She is a clinical social worker with an MFA in Creative Writing. Her literary writing is widely published. After directing a prevention theatre group, the SOAPBox Players of Bellingham, WA, for five years, one of the group's favorite pieces was recast as a children's book. The original title was Touching but people know it now as The Right Touch. When she first arrived in Bethel, Alaska, in 1984, she wanted to see a version of the prevention story set in an Alaska Native village. 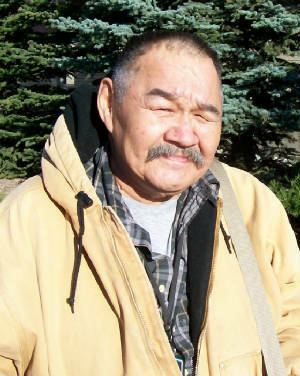 Kleven wrote the story in about 1986 and found a Bethel, AK, artist, David Whitelaw, who drew the two original pictures. In it's earliest form, the story was printed as a four page reader, but Kleven knew this would not hold a child's attention. Twenty-seven years later, The Right Touch is still helping parents talk to their children about sexual abuse and, at last, Talk About Touch: Alaska, is going to be available, too.